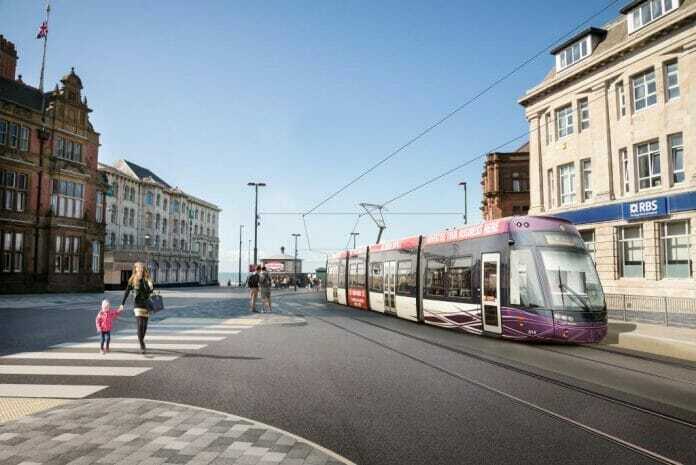 Blackpool’s light rail system is set for a £21.4 million extension – just five years after the historic tramway underwent a £100 million upgrade. Since the improvement works, the network now carries around five million passengers each year, many of whom are tourists, but numbers could increase further as the Department for Transport gave the go ahead to extend the line to the town’s main railway station. The scheme will re-establish the link to Blackpool North station, which ceased operating in 1936, and see Blackpool Borough Council (BBC) spend more than £5 million on new rolling stock. Blackpool’s tramway dates back to 1885 and is one of the oldest electric tramways in the world. In 2012, the Blackpool tramway underwent a £100 million upgrade. A fleet of 16 Bombardier Flexity trams replaced old heritage vehicles, which continue to operate on select weekends and bank holidays, 11 miles of track was replaced, a new tram depot built and signalling installed. In the same year, BBC said that it was looking into the case for extending the tram network from North Pier to Blackpool North station, citing improved transport integration and connectivity, encouraging a shift away from cars, reduced transport emissions and facilitating regeneration and economic growth. Objectors said that the costs associated with the scheme were not justified and doubted the ability to generate a profit from it. An alternative extension, to Blackpool South station, was considered but the number of trains and passengers using Blackpool North is significantly higher. Nevertheless, transport secretary Chris Grayling approved plans for a 600m double-track spur to Blackpool North station in November, stating there was a “compelling case in the public interest”. BBC now has permission to construct and operate the extension. Around £16.4 million of funding for the extension will come from the Lancashire Enterprise Partnership’s Local Growth Fund. Blackpool Borough Council will contribute £4.7 million and government sources and private sector will also financially support the project. Why not extend the Blackpool Tramway to Blackpool Airport so it can terminate at the airport and to serve the local international airport which may need a tram system there for people to be able to get to & from the airport to the town centre and the seaside in Blackpool. What airport please? I thought that it had closed & was to be built on. The airport reopened in 2015 and relies upon business and general aviation. There are currently no commercial airline services. Good idea, but how many passengers will the airport generate?